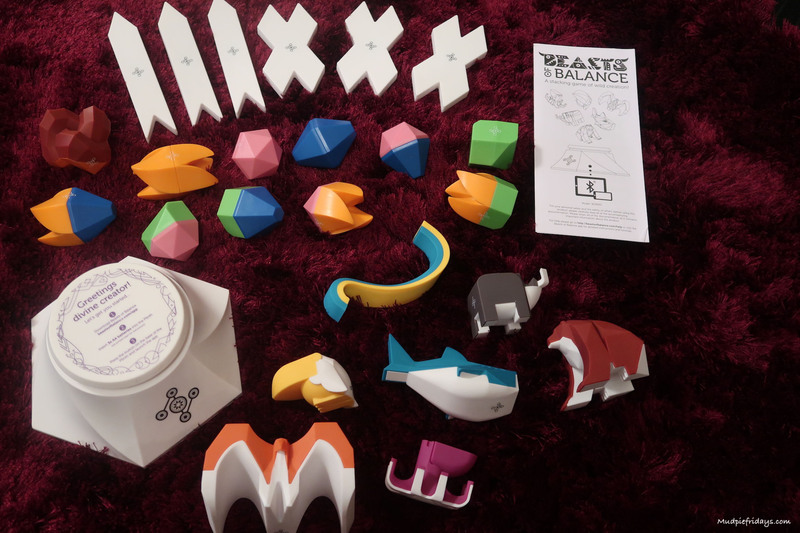 Review Beasts of Balance: Ever since the boys were small I have been drawn to stacking games. Helping them to develop patience, strategic thinking and fine motor skills they ticked a lot of boxes. However now Monkey is that much older they simply no longer interest him. That is until Beasts of Balance contacted us to see if we would like to try out their core pack along with some battle cards. 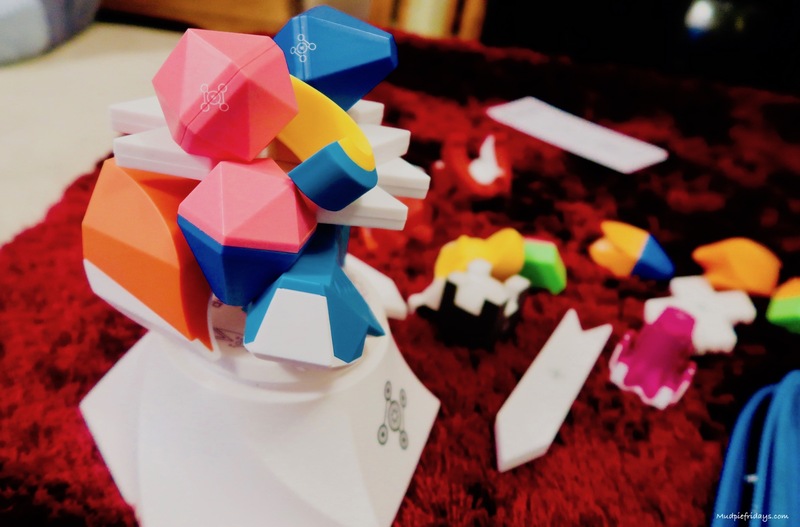 The set brings stacking games into the twenty first century by combing it with an app. 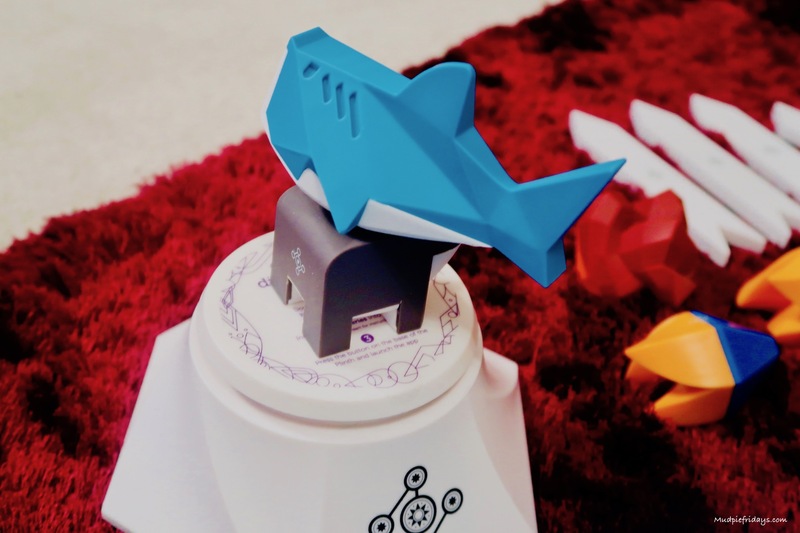 In the set you get six basic animals – eagle, bear, shark, octopus, pelican, warthog along with a plinth to stand then on and a further eighteen artefacts designed for game play. 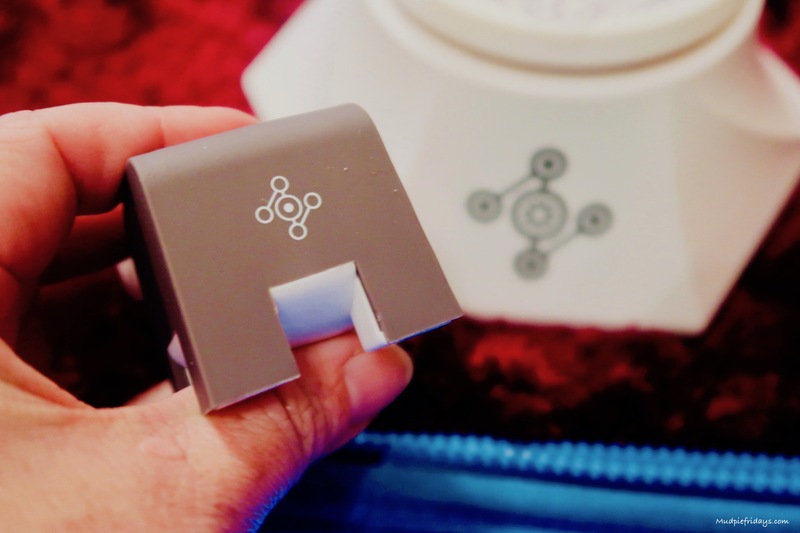 Each piece has a logo on the side or back which you hold against the plinth before placing it into play. In co-op mode the idea is to create a world where all your animals coexist happily together. Only it doesn’t work like that and you need to use your elements wisely. 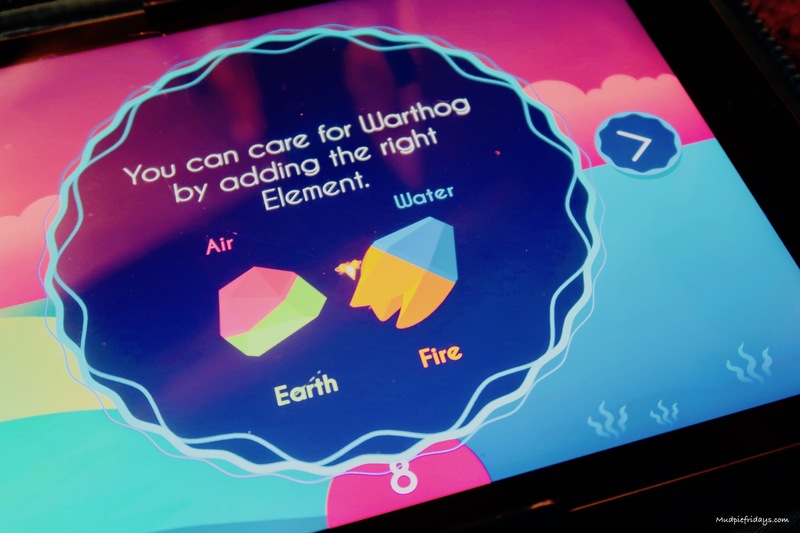 The animals fit into the four elements and the artefacts help you to add points and protect them. 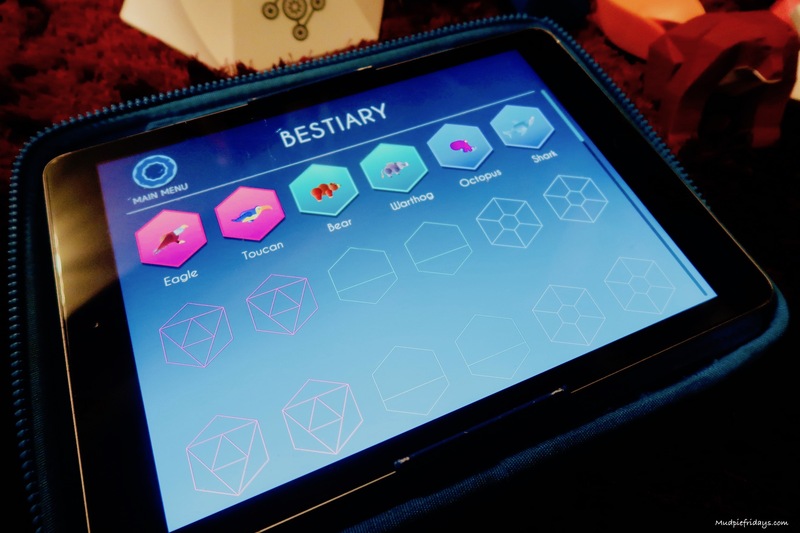 Its also possible for the animals to migrate and evolve into different animals with the app having a beastery for you to collect all the different possibilities. In Co-op mode you need to try and keep them all alive and gather as many points as possible, each game is different and it really makes you think about how to make sure they don’t go extinct. Of course if the tower tumbles then the game is over unless you can re-stack the items back up again in the time the app gives you. There is also a battle mode which allows for multiple players to stack against each other. First you choose an element and then add the animals related to your element each taking it in turns to add an item to the plinth. Its also possible to use battle cards which creates another dimension to the game as you can use them against each other. Each card has a power attached to it such as the option to increase your points or blow another animal up. The cards work in the same way as the artefacts to action them all you need to do is place the card on the front of the plinth. 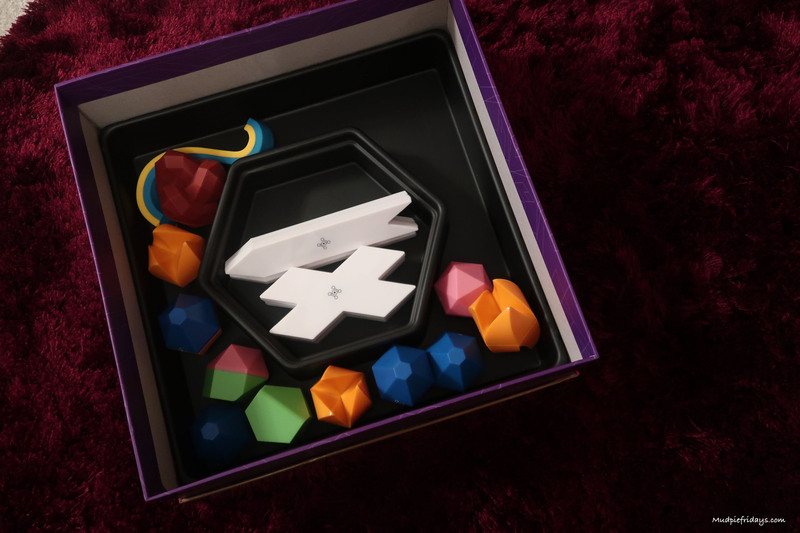 It adds a whole new dimension to strategy play and I can see it being a big hit around the Christmas dinner table. 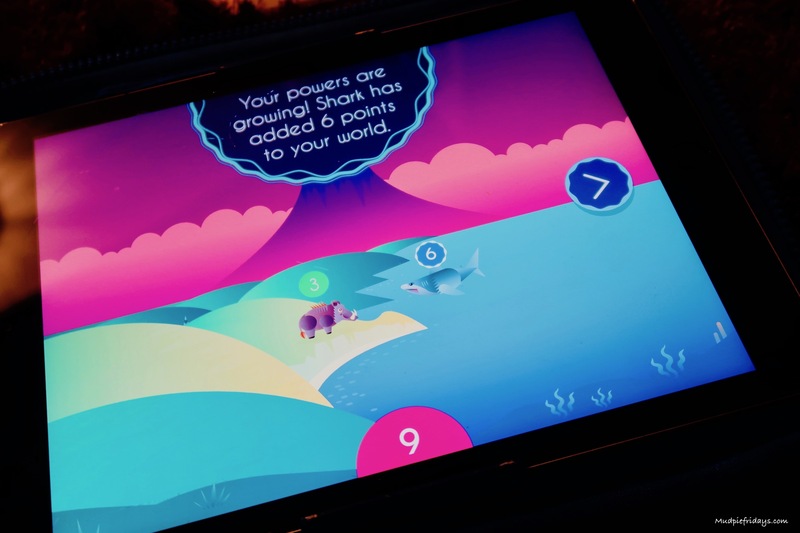 Its possible to buy additional animals which with expand the game play further – these include a unicorn, whale and a lion. Its really clever how the plinth knows whats on it and whats not and when things fall off! You do need 3 AA batteries to make it work which are not included. 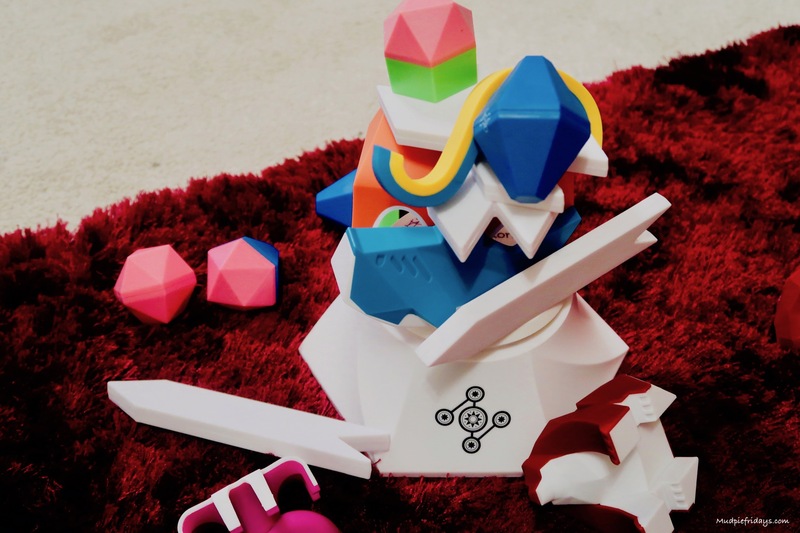 The battle cards are based around augmented reality – its really clever how the physical toys interact with the app and technology. It appeals to a wide age group and its been a big hit with Hubby and I as well. The app is available on both apple and android devices and can be downloaded free of charge. The Beasts of Balance Core Kit retails at £62 and the Battle Cards are £16. They are available to buy on their website. We were given a Beasts of Balance game and a set of battle cards in return for this review, all words and opinions are my own. This looks interesting, I have not seen it before! This is really cool, I’ve never seen anything quite like it before, either! This game looks so good! I like the idea of battle mode and it being a multi player game, it’s great for the family to play! Wow this game looks great fun – I haven’t seen one like it before! This looks amazing, my boys would love it!! I remember when….. parents explained the games to the child but I think nowadays there are many where we have to rely on the children explaining to us. But I do love their choice of characters, I would love to be an octopus or a warthog. What an interesting game. I think our eldest would like it. Thank you. 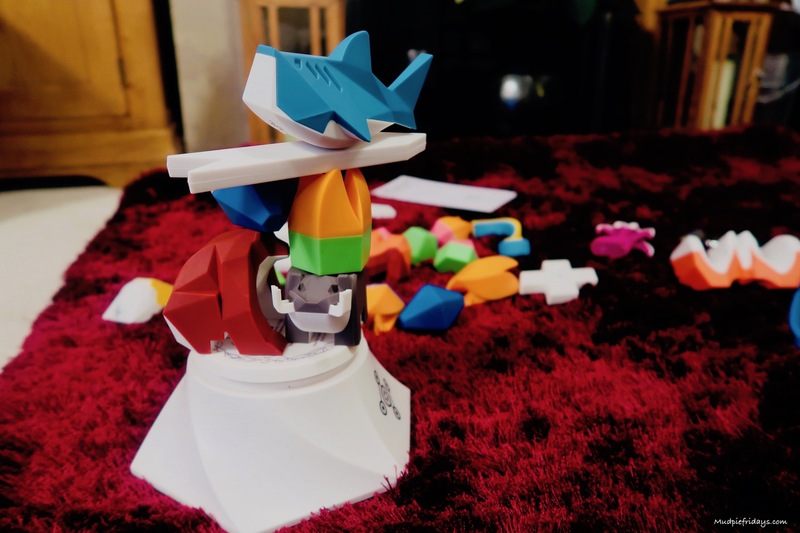 not seen this before but looks really fun and its hard having games that hubby can play as well as a 8 year old and 3 year old. OOoh this looks like something different! How cool! I’ve never seen this book before. Seems so interesting! This looks like just the thing for my younger kids – they’d love the whole fantasy element! This game looks fun, I would definitely play i as an adult too! This game looks super cool, just added it to my shopping cart. Great gift for the kids. That is so cool! I have never heard of anything like this, but my son would love this!! This looks like its a lot of fun. And you can play as a family. What is the youngest age would say this is best for? BEASTS OF BALANCE looks like an amazing game! 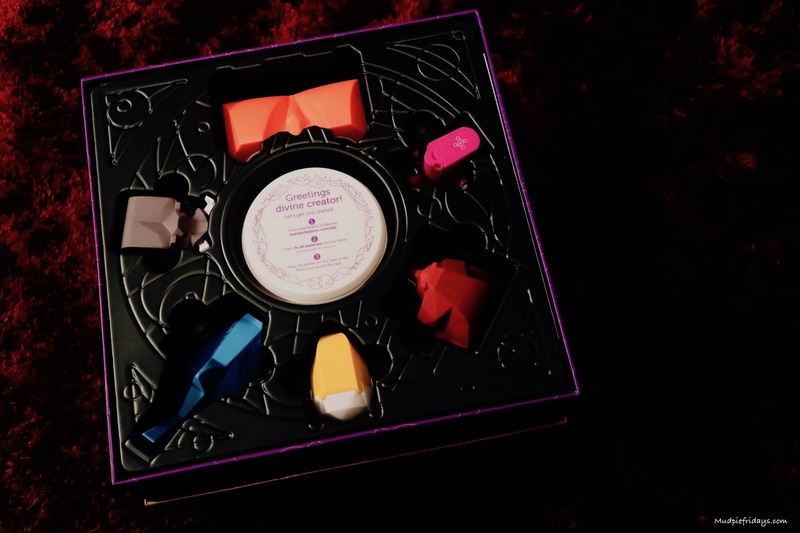 We love games as a family…cannot wait to try playing! This game looks so amazing!! I really want to get it now! That sounds like an amazing game! They really have brought stacking into the 21st century! This game is perfect for my nieces and nephews. I love the fact that it is a social game, which is great for developing social skills, and also that you can expand the animal collection. One of my nephews is obsessed with unicorn at the moment. 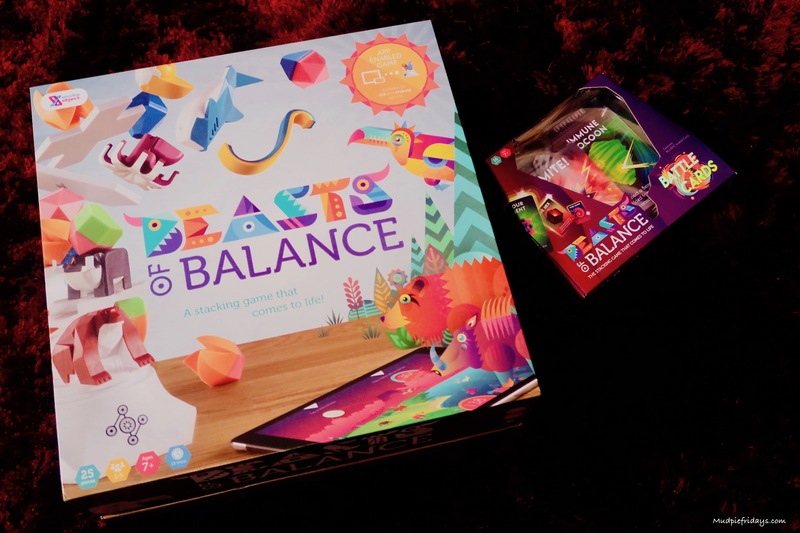 Beasts of Balance is perfect for my nieces and nephews. I love the fact that it is a social game, which is great for developing social skills, and also that you can expand the animal collection. One of my nephews is obsessed with unicorn at the moment. I have never heard of this before. It sounds like a great one for kids. My son will love this. This is definitely a twist on regular kids games and looks like a lot of fun! What a fun and unique way to play. I like that it’s a reasonable price too. Thanks for the review. Seems to be an exciting game. Got to check it out. This is so good for kids. I will definitely refer this to my friends. sounds like a fun and great game for kids and I am thinking to refer it for the kids. Great post. Wow, that is very a different and clever game. Looks really interesting but so expensive. Suppose it is worth it though. My girls would love it.